Where Generations Thrive®: We are here to serve you and your entire family at all stages of life with individualized care for every member of your family. 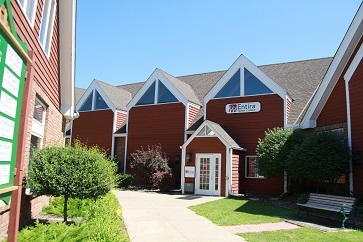 Entira Family Clinics are conveniently located in many neighborhoods throughout the East Metro. We are proud of our strong history in the community–and have been serving the East Metro communities for over 50 years. Whether you need a doctor who understands geriatrics, obstetrics, pediatrics, or sports medicine, our team has the experience to help you feel safe, comfortable, and cared for. At our White Bear Lake-Banning Avenue Clinic, we offer a wide variety of health services to ensure that you maintain the highest level of health during every stage of your life. As specialists in family medicine, our providers and staff care about our patients and have special relationships with them. We pride ourselves in providing excellent medical care and improving our patients’ well-being. In addition, Entira Family Clinics is physician owned and operated.